“Simple!” Bai Lin said, smiling broadly. As far as he was concerned, any requirements that could be solved by means of spirit stones weren’t a problem at all. “Plus 1,000 cloudysoul leaves! 1,000 earthspirit tubers! 1,000 atmosphere flowers....” With that, he went on to name several dozen types of medicinal plants, any one of which could only be purchased via a sizeable amount of merit points back in the Starry Sky Dao Polarity Sect. There were some that were only available for purchase to the Starry Sky Dao Polarity Superstars, and even a few which were considered to be extinct. But Bai Lin considered himself to be incredibly rich, and after a moment of thought, agreed to all the demands. Bai Xiaochun couldn’t have anyone questioning his ability to concoct medicine, after all! Bai Lin seemed taken aback, and yet, didn’t get angry. In fact, a broad smile could be seen on his face. He respected people with skill, and Bai Xiaochun seemed completely confident in his abilities. As such, Bai Lin could only assume that he truly was very skilled at concocting medicine. Furthermore, Bai Lin wasn’t worried about any so-called disasters. After all, no one in Great Wall City would dare to provoke him. On the other hand, if Bai Xiaochun didn’t end up concocting the medicine, then Bai Lin would make sure he reaped the harsh consequences of lying. After a moment of thought, Bai Xiaochun looked over at the wall leading to building 8. Not only had the old man from that building casually stolen his property, he had also given him a very dirty look. Earlier, he knew that, as a newcomer, it would be wisest not to cause any problems that might have negative ramifications later. Bai Lin seemed surprised, and looked at Bai Xiaochun deeply for a moment. “You know, Bai Xiaochun, the more requirements you add on, the less room you have for failure. Very well. Henceforth, building 8 belongs to you! As for Grandmaster Chen, you won’t see him for the next ten years. Furthermore, you--” Before he could finish speaking, an intense rumbling roar could be heard from beyond the Great Wall, something so loud that the whole city seemed to shake. Bai Lin’s pupils constricted, and Bai Xiaochun’s heart instantly began to pound in shock. Everyone looked over in the direction of the Great Wall, and could see that, at some unknown point, the clouds in the darkening evening sky had formed a huge vortex. The vortex was so large that it was impossible to even see the end of it, and pouring out of it, like prisoners escaping from a jail cell, were endless numbers of vengeful souls, all of whom were furiously charging in the direction of Great Wall City. The vast number of souls was enough to make anyone’s scalp go numb. They seemed evil and ferocious to the extreme, and a few of the unfortunate cultivators from the five legions who happened to be outside the wall dispatching some enemies were pounced upon and instantly reduced to desiccated corpses! “How could this be happening?!?! Someone’s using some type of grand magic to tap into the Underworld River! !” With that, Bai Lin shot with lightning-like speed toward the Great Wall. Bai Xiaochun gasped, and once again realized that the intense sensation of deadly crisis he was feeling right now was just how life was at the Great Wall! The flames of battle could rage at any time! After a long moment, he exhaled slowly, more conscious than ever that his Soul Convergence Pill could probably be very useful on the battlefield. 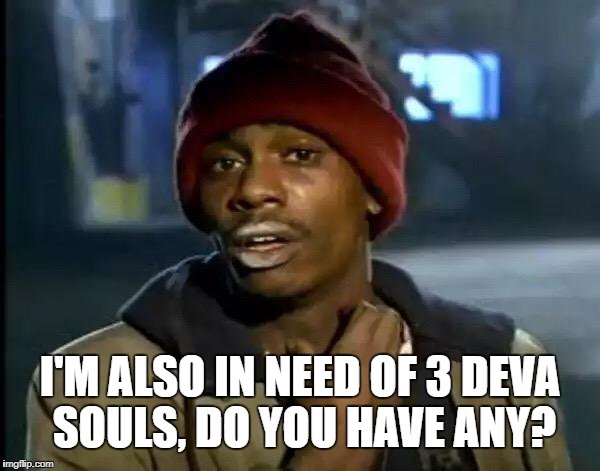 Thankfully, he was very familiar with how to concoct Soul Convergence Pills, and since all he had to do was make them a bit stronger, was confident that it wouldn’t be extremely difficult. After all, he only needed to adjust the pill formula a bit. He had been devoted to the Dao of medicine for years, and had even concocted a River-Defying Pill, so he had absolute confidence in being able to add bit of strength to a trifling Soul Convergence Pill. Despite that, he still felt a bit nervous, not because of the pill itself, but rather, the strange things that often happened when he went about his concocting work. However, Bai Lin had unequivocally guaranteed to take responsibility, so therefore, Bai Xiaochun felt a bit better. Considering the level of his Dao of medicine, there was no saying that he would even cause any problems at all. Having reached this point in his train of thought, Bai Xiaochun was very excited, and decided that Great Wall City actually wasn’t a very bad place after all. “I, Bai Xiaochun, end up being like a shining star wherever I go. Ai. It’s not like I want to be that way.” Humming a little tune, he swaggered back into his residence. The next day, a large group of cultivators entered building 8, and Bai Xiaochun soon heard bellows of rage coming from Grandmaster Chen. However, such cries soon faded away, and less than two hours later, the wall between buildings 7 and 8 had been torn down. In the end, the two courtyards were connected, and a new spell formation put in place. As of this point, Bai Xiaochun’s residence was about twice the size as it had been. The limestone flooring in the two courtyards was connected, and soon, more spiritual energy than before could be detected. Although it was still rather weak, to anyone else in Great Wall City, it would be a luxury. In fact, the only other type of people who would have access to so much spiritual energy would be major generals. When Bai Xiaochun emerged from his residence and looked out at the expansive courtyard, he felt quite satisfied. From what he could tell, no one in the same generation as him could possibly have a finer immortal's cave. “Not bad. Not bad at all.” Despite being very happy, he did feel that the place was a bit empty. However, that afternoon, one of the major generals in the Skin Flayers arranged for about a dozen handmaidens to come over and help take care of the place. At that point, Bai Xiaochun felt that everything was perfect. Of course, the fact that Bai Xiaochun had moved into the Armory, and that the day after, Grandmaster Chen had been kicked out of building 8 by the Skin Flayers, was news that shocked all of the other grandmasters. The residents of the Armory were all famous cultivators, and although none of them were really close friends with each other, when they saw the aggressive way that Bai Xiaochun threw his weight around, they weren’t very happy. Bai Xiaochun was unaware of how the other grandmasters in the Armory were talking about him, but whenever he went out for a walk, he could sense their coldness. “Hmph,” he muttered. “I can’t help but feel that my residence is still a bit too small.” Another day went by. Around evening, Bai Xiaochun went for another stroll, and when he came back, his eyes immediately began to shine. There in his courtyard were one hundred pill furnaces, neatly lined up, each one of them fully three meters tall. Standing in front of the pill furnaces was one of the same major generals who had come to visit him with Bai Lin a few days before. The old man was flanked by four youths, all of whom were staring wordlessly at Bai Xiaochun. The pill furnaces were greenish-black, and were all identical, carved with auspicious qilins. They all emanated powerful auras as well. Furthermore, despite the fact that furnaces weren’t being used to concoct anything at the moment, they were surrounded by a strong medicinal aroma. Fellow Daoists: In an attempt to better understand you, the readers of this translation, I put together a very short survey. It's only ten questions, so it shouldn't take more than about a minute. Please, please, please participate by clicking here!